Can Mark Robins lead Coventry to back to back promotions? The Sky Blues are putting together a run of results that has put them back in the Play-off picture, even if their future existence is in question due to the location of their home games next season. Today's match is at the Ricoh - a stadium in which they hope to remain - and a victory could see them move into the top six, as Doncaster are away at Luton. 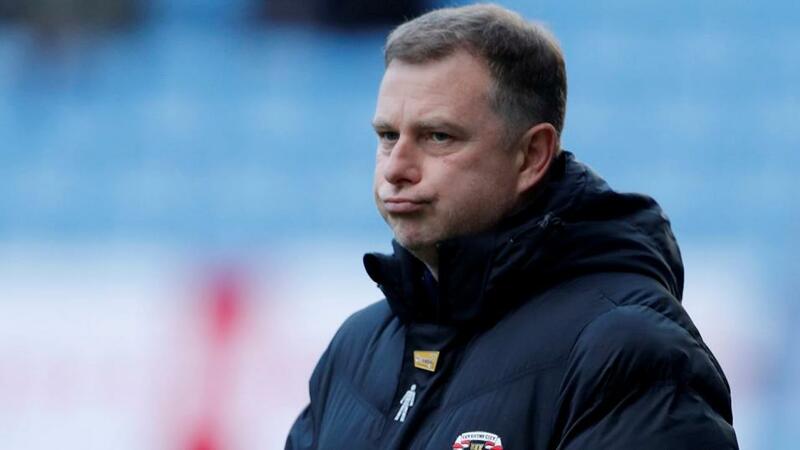 Mark Robins' side have won five of their last seven overall, and two of their last three in front of their own fans. They haven't been spectacular, but the goals have started to come again. Opponents, Oxford, are down in 19th, but they did pick up a much needed win last time out. They beat Bradford 1-0 at the Kassam, but this will be a different test entirely. Things haven't actually been that bad on the road for Karl Robinson's men, as they have lost just two of their last six away from home. They don't win many matches however, and the hosts should be able to beat them this afternoon. Considering their respective league positions of 12th and 13th, it might come as a bit of a surprise that the hosts are unbeaten in seven at home - five wins and two draws - with the visitors having an identical away record of late. The Pilgrims' success has been built on scoring plenty of goals, while Rovers have kept plenty of clean sheets. I am keen for goals at both ends in this one, as Derek Adams' team will take the game to the visitors, and that should in turn leave plenty of opportunity for the Pirates to counter. This selection would have landed in five of Plymouth's last six on this ground and two of Bristol's last four away from home. It's also worth noting that this fixture last term finished 3-2. Luton are top of League One and have a five point lead over Barnsley in second. They haven't been beaten in the league since October, and while the wins have dried up slightly of late, they are doing enough to remain comfortable at the top. I quite fancy them to take all three points this afternoon against Doncaster, as despite Rovers' league position of sixth, they are not in good form. Grant McCann's side have now gone seven without a win in all competitions, and they haven't won away from home in the league since the end of December. Following that 3-1 success at Gillingham it's been three draws and three defeats, and with the Hatters having won 14 of their 19 at Kenilworth Road this season, the odds on offer look generous.